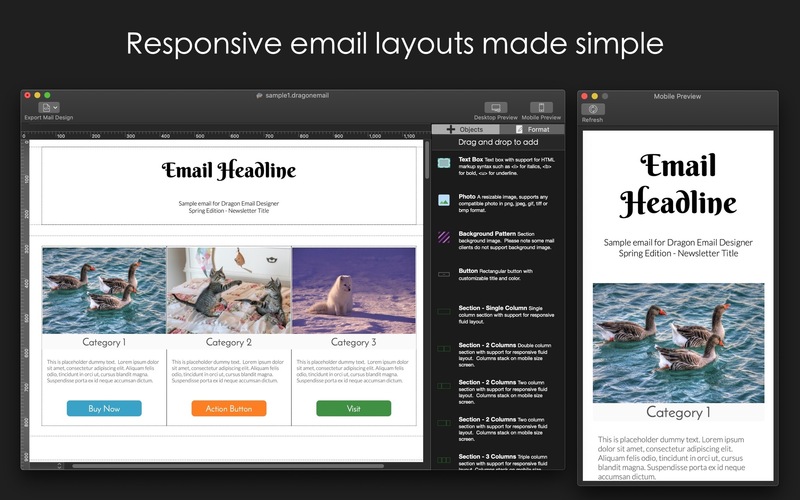 Create emails with responsive design (was Dragon Responsive Email Designer). 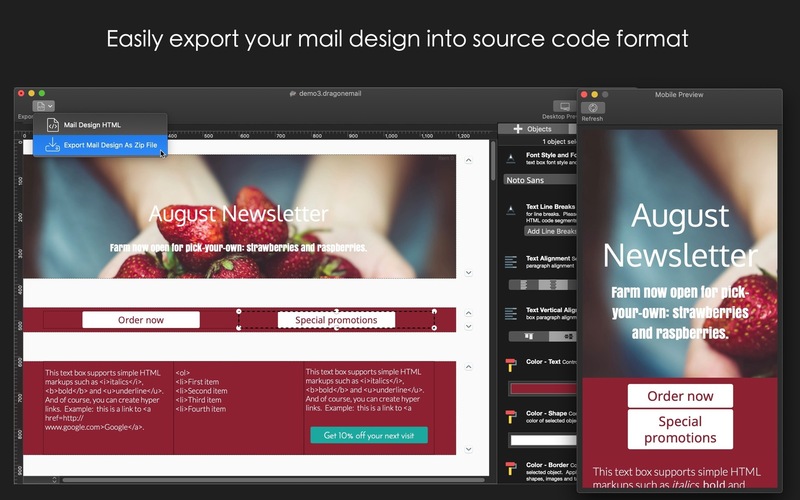 Is there a better alternative to Dragon Email Designer 2? 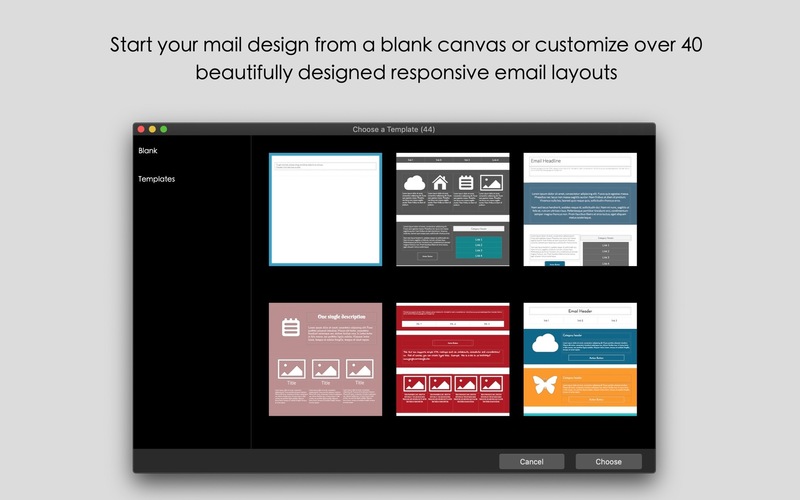 Is Dragon Email Designer 2 really the best app in Applications category? Will Dragon Email Designer 2 work good on macOS 10.13.4? 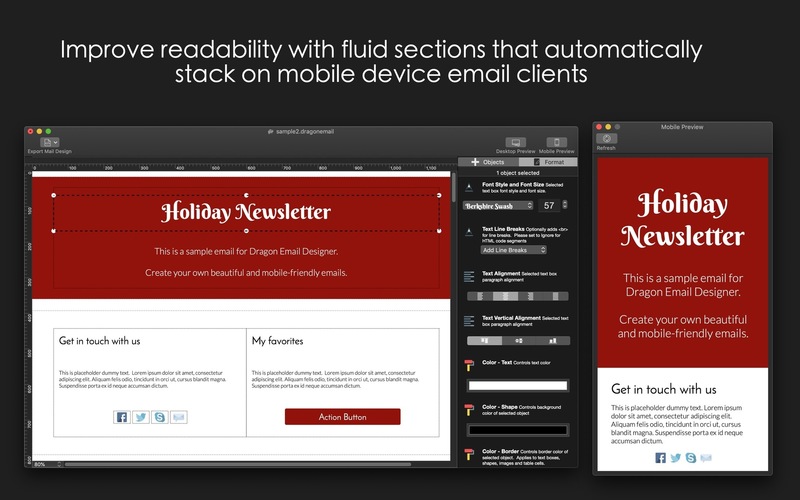 Dragon Email Designer 2 (was Dragon Responsive Email Designer) helps you create beautiful emails for any device! 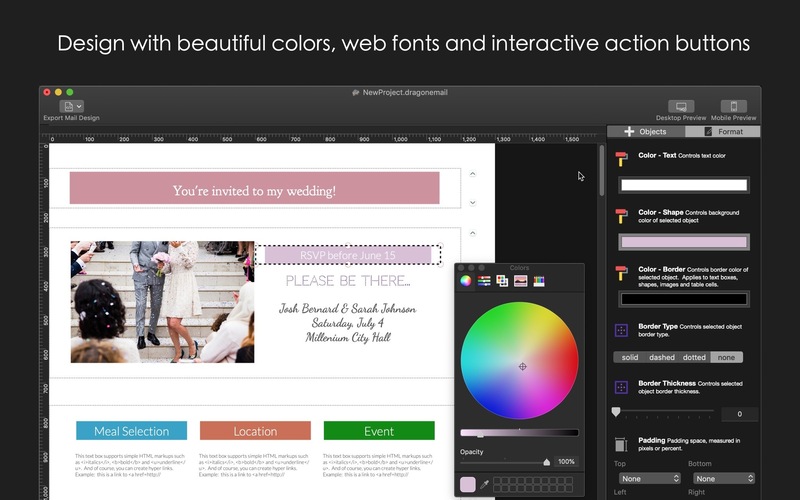 Intuitive drag-and-drop designer with zero coding, fabulous responsive emails made simple. Dragon Email Designer 2 needs a rating. Be the first to rate this app and get the discussion started! Ready for MailChimp: Generates optimized zip format email design files. If you use MailChimp to distribute your email campaigns, this unique feature makes it simple and quick to import your designs. Beautiful Web Fonts: Focus on one of the most critical elements in your email design: text style. This app is bundled with beautiful Google web fonts. Use web fonts to increase the consistency of font rendering in your emails. Better presentation = increased effectiveness of your email campaign. Action Buttons: Drag-and-drop to add beautiful action buttons, fully customizable titles, and colors. Perfect for guiding users to take direct actions including clicks, taps, and purchases. Edge-to-Edge Colors: Support full width background colors and image patterns.